The guy in the sandwich shop said that the kids love house, but all we could find was an electro night - so we went to see if they like that too. Turns out we were right, the Bloody Beetroots show was packed full of lycées, roughly 16-18 year-olds from the city's colleges. This meant that not only was the bar empty, but the crowd inside the cavernous Halle de la Trocardière were bouncing off the walls. 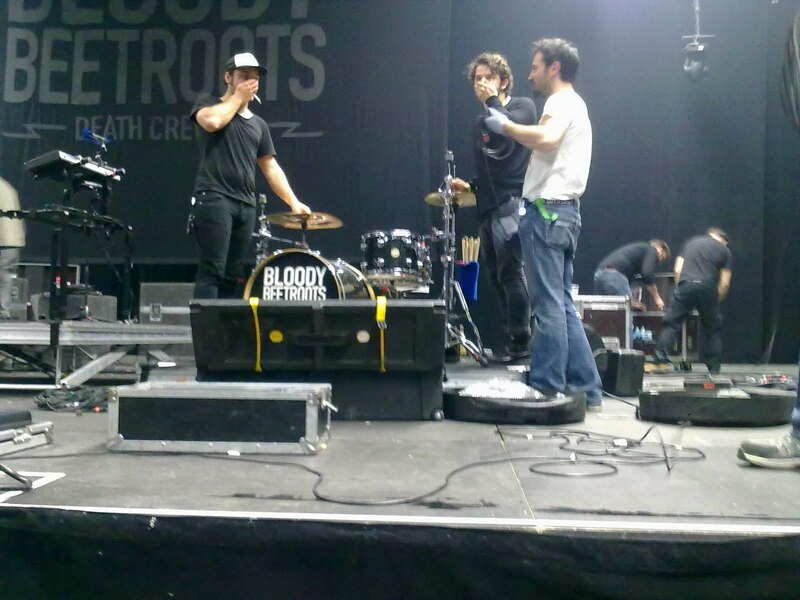 The band are much heavier live than their plethora of remixes and last year's Roborama would suggest - they even re-brand themselves Bloody Beetroots Death Crew 77 when they go on tour, adding a drummer to their line up. Adding to the surprise heaviness is the vaudeville of the Venom masks (the character from Spiderman, not some kind of poisoning facewear) the duo wear, as they flit between guitar, bass, synths and microphone. Tunes from the album sounded like real hits, although they're played regularly at Custard Factory nights they're given new life live, with 'Cornelius', 'Butter', 'Warp' and 'House No. 84' (previously featured on this blog) going off. 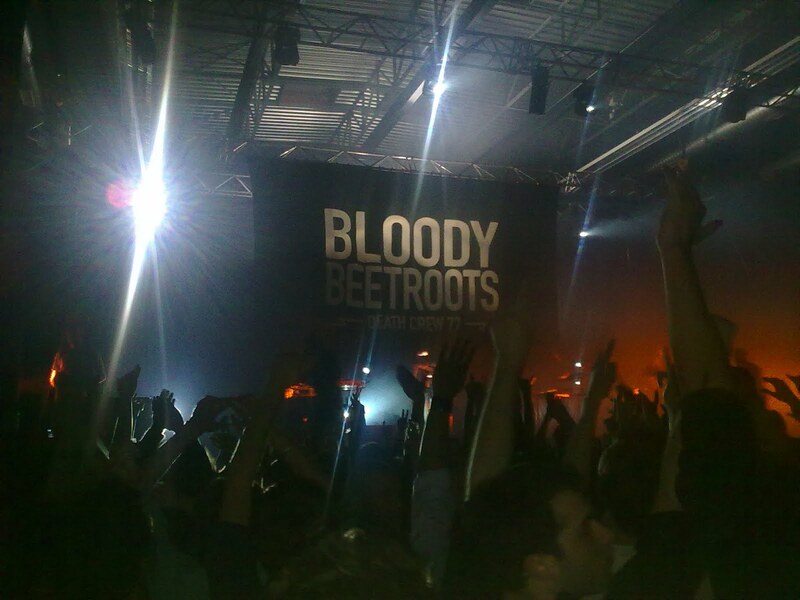 Add in a cover of the brooding 28 Days Later Theme, a melodramatic bit of Bach's Tocata and Fugue and the PHENOMENAL 'We Are From Venice' (see below) with live strings as a finale, the Beetroots managed to cement their place amongst the best live dance acts in the world. Chatting at the end, Axwell, an 18-year-old lycéan, said "Justice, SebastiAn, Crookers... it is very exciting" - easy to say if you're 18, wearing Prada glasses and go to a posh secondary school but keep it real at Electro nights in the ghetto end of the Rezé - but that was no barrie to my realisation that as ropy as my French might be, the the only phrase I really needed to know was "j'aime Ed Banger".